January is the month that Camp Jorn has traditionally launched registration for the following summer’s resident camp programs, sending out new brochures and emails announcing the kick-off of online sign-up for camper families. We are so excited about the summer of 2012, and hope you have “caught the bug” too and are gearing up to register! What activities are available for my child? Which ones would my child be interested in? What will my child learn through this experience? Is it close to home? Who’s going to be in charge? Is it safe? Fun? Challenging? Can my friend come, too? What if I can’t do something? Will I be scared? Bored? Will someone help me? Will all my friends be there? What if I don’t know anyone? Can I learn something that will help me succeed in high school/get into college? Will we be working hard? Will there be time for fun?? We at Camp know that there are lots of summer choices for kids. 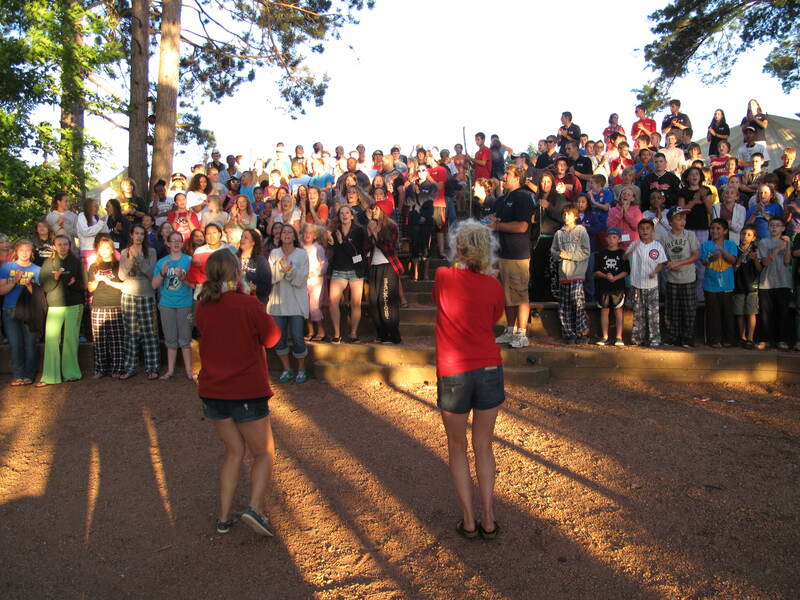 Of course, we think Camp Jorn is one of the best choices. We’ve been around a long time, helping kids recognize and develop value in themselves and the world around them. We have really fun staff who focus on safety and learning in an exciting environment. We do amazing things at Camp, like learn to water ski or ride horses, canoe, shoot a bow and arrow, play the guitar, sing weird songs, run around with a sock hanging out of our pocket and paint on our faces, dance, swim, hike; we even do things like make new friends, try new things, become more independent, take care of each other, and appreciate nature. Camp is a pretty awesome place to be! What will you choose to do this summer? What’s important to you, as a parent or child, in deciding what’s best? We’d love to hear what families today think about as they start planning their summer months! Post a comment here and let’s talk! Posted in Campers, Parents, Staff and tagged 2012, activities, camp, Camp Jorn, dance, friends, fun, guitar, hike, horses, nature, parent, ski, songs, summer, swim. Bookmark the permalink.